I’m getting mixed info...can a CTSW or CTLS fly legally at night or an IFR flight plan in VMC assuming pilot is properly licensed for such? 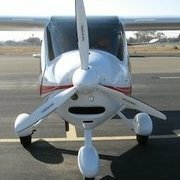 I read some posts suggesting it could be done, then the AOPA site said most Rotax engines don’t allow for it. Call Rotax. I don't listen to "some posts". The CTLSi I fly is set up for night. I have a landing light, I presume is for seeing at night. I fly at night with no difficulty. That's all I know. The short answer is yes, you can fly at night and on a IFR flightplan in VMC. There are some built prior to 2010 that can even be flown legally in IMC. Rotax used to have a prohibition against night flight, but I think they have changed their stance. That being said it really comes down to the manufacturer and the individual aircraft's operating limitations. ASTM has requirements for night flight beyond what is called for in CFR 91.205. For IFR the airplane must have the required testing for transponder and pitot static system. Thanks. So that last sentence describes what plane must have (pre 2010) to fly into IMC? Also if your CT is ELSA and your operating limitations allow it, you could in theory even fly in IMC if your airplane is properly equipped. My ELSA operating limitations allow it. So if you are willing to go experimental, find a cooperative DAR, and go through the hassle of properly equipping your CT, you could fly IFR like any other properly equipped experimental airplane. assuming pilot is properly licensed for such? The transponder and pitot static system checks are required to operate on a instrument flight plan, regardless of whether it is VMC or IMC. You would also need to have the equipment required by 91.205 for IFR flight. To file and fly an instrument flight plan you must be instrument rated, current. You must also have at least a 3rd class medical or be operating under BasicMed. Back in 2001 I was flying a pipeline patrol twice a week. In the aftermath of the terror attack they shut down general aviation. One of the first types of GA that they turned loose was pipeline patrol. The caveat was that you had to be on a IFR flight plan. Of course pipeline patrol is a strictly VFR activity. I had to go get an instrument proficiency check to be able to fly my patrols. As luck would have it they released VFR traffic the day after I completed my proficiency check. You can, as said, fly at night, and under IFR if you meet the regs. The catch is IMC. This is where the prohibition is in the ASTM 2010 onwards. Also, a rotax engine is NOT DESIGNED with IMC in mind. Tom, I think you and I were at the same training when Eric brought up photos of a gearbox? The teeth were arc burned and badly pitted from static discharge between the gears because it had been flying through weather. Flight Design is about 90% carbon fiber which is electricaly cunductive due to the presence of graphite, however not as good as aluminum. Carbon fiber in aircraft construction is good at bleeding off static electricity, there is a lot of data available on this. Other aircraft made with fiberglass and epoxy have no conductivity and are considered insulators and presents a more serious static discharge issue. As far as lightning is concerned , probably not good but most ga should stay well away from lightning anyway. Most static wicks for high performance aircraft are made from carbon fiber. I intend to equip my ctsw for IMC capability and am going ESLA to make it easier. I am doing this for very light IFR to get more utilization out uf the aircraft.
. . . "I intend to equip my ctsw for IMC capability and am going ESLA to make it easier. I am doing this for very light IFR to get more utilization out uf the aircraft."
. . . Are you aspiring to become a bold pilot? . . . The ct is a great plane for night flying with the parachute but you can't see clouds on a dark night so IFR is common sense. I am used to a c310 for 22yrs so the parachute makes up for the other engine. The only bad thing is the ct has the worst landing light I have ever had, but I am correcting that now. I like daylight for landing so I don't have to feel for the runway. I think the ct is good for light IFR but just needs a few changes. It's alot cheaper to operate than my 310. The one thing I wish I could do as a Sport Pilot is get an endorsement for night flight. The CT is a great choice for night flying, as you said the parachute adds a lot of safety in that scenario. I don't really want to do a lot of zero dark thirty flying, but it would be great when flying day trips to be able to land after dark sometimes. What’s the fix for the weak landing light? I think the only way to get better landing lights is to go ELSA because Flight Design is not going to approve anything. There are several good options for better landing lights, some easy and some more difficult. Aveo Vega taxi/landing lights are interesting, I am going to use them. Also I am looking at fabricating a par 36 housing for 3400 lumens instead of the 500 original but this is a lot harder to do. Maybe it will work , maybe not. Flight design approved our landing light change just fine. They also were more than happy to thumbs up a different beacon and wing light install. They were even willing to work with me and Hartzell during R&D of a new prop design before hartzell shelved the project. They aren't as stiff as you make them out to be. But the more exotic the change, the more you have to be willing to either pay a load for engineering tests, or produce the test data yourself. It's a pain regardless, and I personally *much* prefer certified way of doing changes, but they will work with you if you put in more effort than just napkin math or drawings in the margin. The more effort you show ans the better reputation you have with them, the more willing they will be to try your ideas. Changes are usually fast and easy if FDUSA can approve them. More complex changes that have to go through Germany are slow and expensive, as the Germans like to collect "engineering fees" for determining if a proposed change is acceptable. I remember I wanted to add an AoA pitot tube and FD Germany wanted $1500 in engineering fees to study the change. At least that's how it used to be. Since there have been a lot of changes to the FD organization the past couple of years, things could be totally different now. The later CTLS and CTLSi models have a multi-element LED light that is supposed to be worlds better, and IIRC you can get an MRA to make that change. It's expensive and you have to modify the cowl to fit it in the older airplanes. Or as others have said, go ELSA and install whatever you want. Honestly, if you want to fly IFR it will be much cheaper and less frustrating to go that route anyway, IMO. You get away from all the requirements for MRA paperwork and con concentration on what equipment you actually want to install to give you the capability you need.